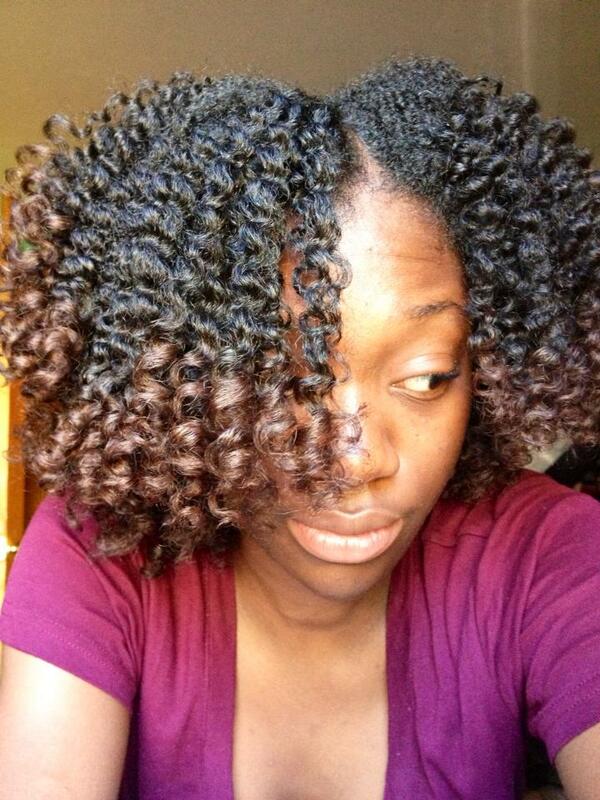 CoilyQueens™ : A fabulous Twist n Curl! This is Princess Kimi and she is a part of the CoilyQueens court. She has added extra length to her hair by doing the "Gain an inch in 30 days" hair growth challenge, twice. And as you can see her hair is very juicy and healthy. Clean and DC hair was 2 strand twisted in small twists while leaving several inches of hair loose on the ends. Perm rods were used to roll the ends. 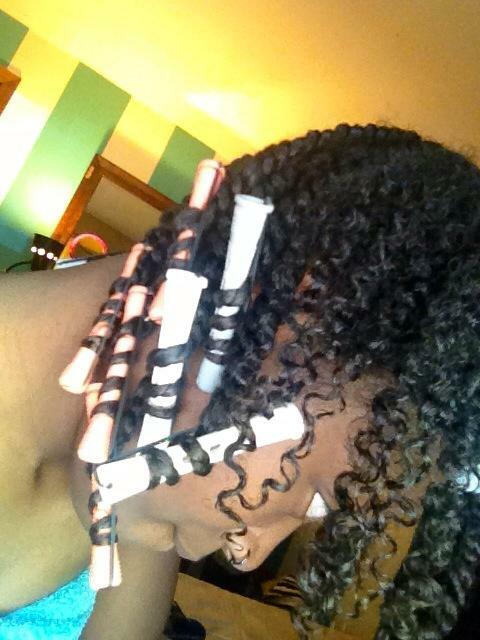 Once hair dries, remove rollers, pull the twists apart, but do not separate anymore. There you have it, very easy style. She cleansed her hair with As I am cowash and deep conditioned with Tresemee naturals for 20 minutes using heat. When it was time to twist and curl, she used the always fabulous....drum roll please! Shea moisture curl enhancing smoothie! I love this product! If you are not using it, what are you waiting on? Any questions for Kimi leave them below. Check out Vee's Twist and Curl, right here! Get more information about the Gain an Inch in 30 days hair growth challenge. This challenge is seasonal and limited to 25 members. Subscribe to this blog for the first chance at securing a spot in the next GAI challenge. Can't wait on the GAI challenge to come back then sign up for One on One Hair Growth Coaching. Here! Did Kimi flat 2-strand twist her hair or was it done in single 2-strands? This style is achieved with single 2 strand twist.